Alexa Skills are the heart and soul of the Amazon Echo Devices. Essentially, they are speakers with Alexa Voice Recognition technology built in. With the help of Alexa, the Amazon Echo devices can listen to your voice instructions and act accordingly. From playing your favorite music, briefing you with the latest news updates, give weather updates, sports updates, book cab for you, order products from Amazon, order Food, check train status, flight fares, movie showtimes it can do a whole bunch of stuff without needing any smartphone. Alexa’s performance can be further upgraded with a huge set of skills available inside the Alexa App. Like you have the Google Play Store from where you can view and download new apps to try out, Alexa gives us thousands of skills to try out. Each skill will work differently and enhance your Alexa further. But if you feel lost, or get confused which skills to try out, or just simply want to explore new skills, this post will help you out. Whatever may be the reason, you can check out some of the best Alexa skills I tried to gather. 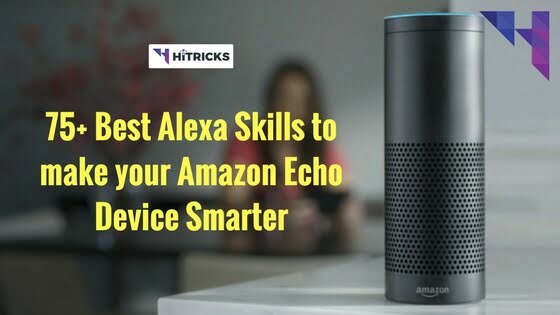 In today’s post, I will write about the Best Alexa Skills to try out. If you don’t have an Echo device yet, you can request an invitation from below. Before I begin, make sure you have purchased your Amazon Echo device and Configured it Properly. Check out my detailed step by step guide on How to Set up Amazon Echo Dot if you need any assistance regarding setting it up properly. I was wondering how to list the skills out. At first I thought of grouping them together on a categorical basis, but later on, thought to keep it alphabetical. It helps in sorting out. So, here you go. Aajtak: Aajtak provides news updates from Aajtak in Hindi. It is updated thrice a day, in the Morning, in the Afternoon and in the Evening. So you will always stay updated with the latest info. ABP Live: ABP Live provides news updates from ABP in Hindi as well. However, the news is updated once a day, at 7 pm daily. Amazon Prime Music: Amazon Prime Music is Amazon’s own music streaming platform. With Amazon Prime, you get a free subscription to Amazon Prime Music. It contains a vast array of English, Hindi, and songs from other regional languages. Any.do: With Any.do, you can set reminders, take lists and also set events in the Calendar. It is an all-in-one events and notes manager. AnyList: Anylist, on the other hand, specializes in making grocery lists and adding it to your smartphone. If you just need a list taking skill, use this instead. Bitcoin King: Bitcoin King is your own Cryptocurrency Tracker. Get latest prices, up-downs, market caps and other info of 100+ Top Cryptocurrencies with Bitcoin King. Bollywood Hungama News: Bollywood Hungama News provides Bollywood news updates. Stay updated with the cinema world, get to know about actors and actresses updates from here. Bollywoodlife.com: Bollywoodlife.com is an alternative to Bollywood Hungama News. You can use this to follow Bollywood updates as well. BuyHatke Assistant: BuyHatke Assistant is a helpful skill to compare prices of different products across e-commerce sites. It also shows you the best deals available for flights etc. Buzzfeed: Buzzfeed provides news updates from across the world. Byjus: Byjus is an educational skill. You can explore a lot of updates relevant to studies from here. Carnatic Music: Carnatic Music plays Carnatic music for you. If you are especially interested in Carnatic Music, then you can check this out. Cleo: Cleo is one of our favorite skills. Using this, you can actually teach Alexa to speak in a different language other than English. Can you teach Alexa your local language? Check your progress and earn points accordingly. CNN: CNN is another skill for news updates in English. Codename Cygnus: This is one of the very few well-built Games for Echo. It is a voice-assisted Radio Drama that tells a story of a Secret Agent. You use your voice to respond and direct the story yourself. It is a different kind of experience. Play it to feel the thrill. Converter (search term): If you need conversion from one parameter to another over the voice, you can search for Converter. You will get a lot of options. From length, weight, temperature etc converter, you will also get data converter over there. Choose whichever you like the most. Cryptocurrency, Bitcoin, Cryptomarket: Yet another cryptocurrency tracker. Check current prices and track the ups and downs of various cryptos from here. Dainik Jagran: Dainik Jagran provides news updates too. The news is updated Monday to Friday at 10 am and 4 pm. Desimartini Bollywood News: This is another alternative for Bollywood updates. Follow your celebrities with Desimartini. Divya Bhaskar: This is another news update source. The News is updated daily at 10 am, 4 pm and 8 pm. Economic Times Financial News: If you are interested in Business and Financial News then you will like this skill. Economic Times provides news update from the ET. The news is updated twice a day. Escape the Room: Most probably you have played Escaping games on your Smartphone. This skill is just the same iteration over the Alexa. So, you need to escape the room with just voice commands. It makes it harder. Try it out. ESPNcricinfo: If you want live cricket scores, ESPNcricinfo will provide live scores from ESPN. Fact (Search Term): If you are interested in listening to various facts, then you can give a search with the term FACT. You will get hundreds of skills. From Game of Thrones facts, Harry Potter Facts to Bollywood Facts, India Facts etc everything you can find. Foodpanda: Foodpanda skill will help you order food from Foodpanda. As of now, it allows you to reorder your last ordered food. In future, it will support more skills. FreshMenu: Freshmenu is yet another food ordering app. You can use this skill to order food from Freshmenu. 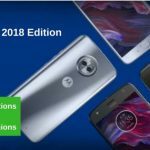 Gadgets 360 Tech News: Interested in Tech Updates? Gadgets 360 Tech News will brief you with latest technology. The news feed is updated daily 9pm. Goibibo: Goibibo will help you to check flight fares just by your voice. It can also check bus ticket fares as well. You can also check your goCash Wallet balance. Hindu Calendar: With Hindu Calendar, you can check out all the Hindu festival dates for the year. Hindu Panchang: This skill will read out the Hindu Panchang daily. Hindustan Times: Hindustan Times provides news updates in English from Hindustan Times. There are a few skills, one for India news, one for entertainment news, another for the latest news. HouseJoy: With Housejoy Skill, you can book an Electrician, Plumber or Carpenter for your house. Try it out. India Today News: India Today News provides news in English from India Today. The news is updated thrice a day, in the morning, afternoon and the evening. Indian Express: Indian Express provides news in English from Indian Express. Indian Express Lifestyle News: This skill provides just lifestyle news from Indian Express. Indian Express Technology News: This skill provides just the technology updates from Indian Express. Techies will find this useful. Indian Express Sports News: This skill provides just the sports updates from Indian Express. Indian Flute: Indian Flute is one of my favorite skills, among all others. It plays instrumental flute music. As of now, the catalog is too small, but they are increasing their database and improving every day. Indian Holidays: If you want to keep yourself updated with the Indian Holidays, this skill will help you out. Indian Railways: Using this skill, you can track Train status, check PNR and much more. Money View: Money View keeps a track of your bank account balance and will update you anytime you need. Mr. Math: Mr. Math is one of the lots of skills that can do the job of a Calculator. Just when you need to calculate something, ask it. Alexa will respond. NDTV: NDTV provides news updates in English from NDTV. The news is updated thrice a day at 9 am, 2 pm and 4 pm. NDTV Hindi: NDTV Hindi provides news updates in Hindi from NDTV. The news is updated thrice a day at 9 am, 2 pm and 4 pm. NearBuy.com: Nearbuy.com skill will help you find restaurants, spas, salons and other things to do in your city (and in any city). New Release Schedule for Netflix: Those who watch Netflix shows regularly will find this skill useful. It provides you latest releases list on Netflix. Ola: This is a cab booking skill. Using Ola skill, you can request a cab at your home. You can also choose the type of cab you need. Philips Hue: Philips Hue skill will help you control your Philips Hue smart lights using the Echo device. Configure it using this skill. Quiz (Search Term): If you want to sharpen your GK, you can try out from the hundreds of Quiz skills available. There are different types of quizzes, right from India Quiz, Bollywood Quiz to Harry Potter Quiz. Find the right type of quiz you need and get set go. Radio City Gold: Radio City Gold is an Online Radio Station that plays old Hindi songs 24 x 7. Those who like to hear old Hindi songs will love this skill. Relaxing Sounds (Search Term): If you are relaxing and need the perfect music for your mood, then search for Relaxing Sounds on the Skills section. You will find hundreds of skills related to this. You will also get special music effects like animal sounds, train sounds, utensil sounds, gossip sounds etc. Reverse Phone Number Lookup: Want to know the location and basic details of an unknown number? Reverse Phone Number Lookup skill will help you out. Rock Paper Scissors: With this skill, you will be able to play Rock Paper Scissors game with Alexa. Can you beat it? Try playing and relive your childhood days. Saavn: Saavn skill will play music from Saavn. It has a huge catalog of songs to browse from. You will also get audio stories inside. Scary Sounds: Fan of Horror Music? Then you can install this skill and create a spooky environment inside your room. Or, surprise your friend by suddenly starting this skill. Skill Finder: A skill made to find skills for you. Using Skill finder, you can find out skills based on category or just random skills. Comes handy when you want to explore new skills. Spelling Assistant: Don’t know the spelling of a word? Ask Alexa and it will tell you. Spelling Assistant comes handy in getting instant spellings from Alexa. Sportskeeda Cricket: Sportskeeda Cricket provides you cricket updates from Sportskeeda. Sportskeeda fans, this is your skill. Stopwatch: Like the name suggests, Stopwatch enables a timer based stopwatch skill on your Alexa. You can start stopwatch by just speaking to it. Syska Smart Home: With Syska Smart Home you can control your smart home appliances of Syska with Alexa. TED Talks: TED Talk lovers will find this skill handy to listen to TED Talks using Alexa. Time Out: This is another smart Alexa Skill. It is a timer that helps you to keep distractions away. Simply start a timer and focus on your work. Alexa will keep on reminding you every 1 minute until your time runs out. The New York Times: The New York Times provides news in English from across the New York and the USA. Those who regularly follow the global news, this might help them out. The Quint: The Quint provides you news updates from The Quint. Tic Tac Toe: Play Tic Tac Toe with Alexa using this skill. Try it out. Times of India: Times of India provides latest news updates in English from the TOI. Apart from India News, there are city based news sources too. Listen to the news from your city. Train Tracks: Using Train Tracks Skill, you can track Train Routes, PNR Status and Live Train Status by your Voice command itself. TuneIn Radio: The third music provider for Alexa, TuneIn Radio provides Radio Stations from all over the world. Uber: Uber is a cab booking skill for Alexa. Using Uber, you can request a Cab for your location. You can also choose the type of cab you need. UrbanClap: Using Urbanclap you can book a Plumber, Electrician or a Carpenter at your Home, just by Alexa. Try it out. Weather by Amazon: This is the default Weather provider enabled on your Echo Device. Get weather info of any place. It can also predict rainfall and other activity. Wall Street Journal: Wall Street Journal provides news in English from the Wall Street Journal. Watchdog: This is another interesting skill. Watchdog is a voice-controlled server monitor. If you run a lot of servers, you can monitor them for uptime checks etc using Watchdog. Zomato: Zomato is probably the most popular food ordering app. This skill allows you to search for various restaurants, go through the cuisines and even order your favorite food, just by your voice. Well, which skill did you like the most from this skill? Did you find out more interesting skills which you want to share with me? Shoot them up in the comments section below. I will try them out too. And if those are really good, I will add them to this list. If you have any other doubts or queries, you can ask them in the comments too. I will try my best to help you out.